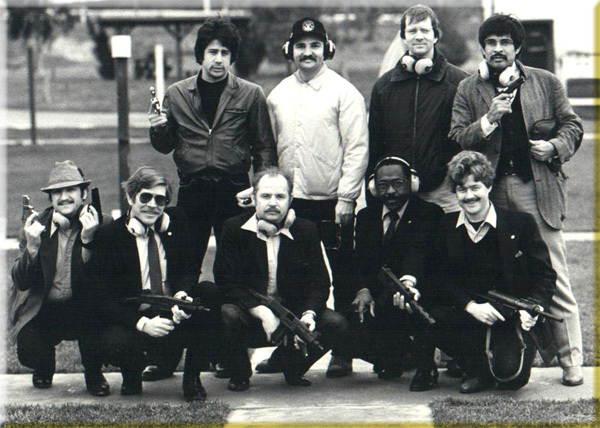 In 1968 The Legislature and the Governor's Office approved legislation authorizing the State Police to provide full-time protection to all Constitutional Officers. 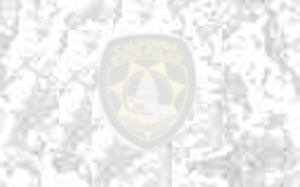 State Police Officers were trained by the Secret Service giving birth to California's first protective detail. Tony Caminiti, Ken Maniord, Jerry Leffingwell, Al Mcbride, Jay Kennedy. 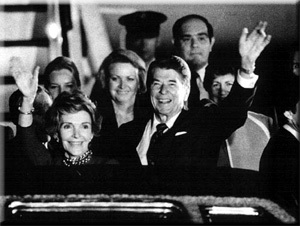 When governor Reagan was declared a presidential canidate, he received protection from the United States Secret Service. 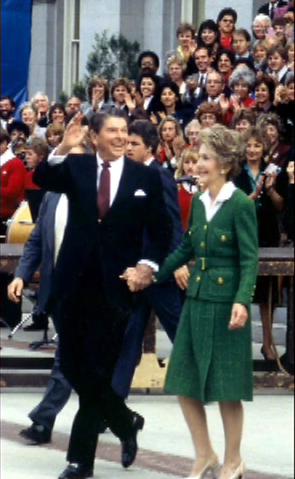 This protection ended when the Governor lost the nomination. 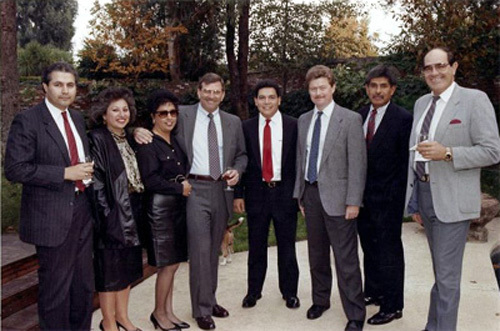 The Governor's Office wanted to continue the same level of professional security that was provided by the service. 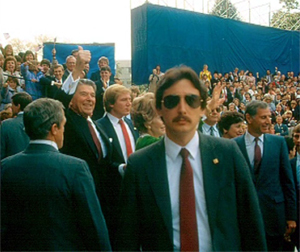 The Adminstration hired Secret Service Agent, Edward V. Hickey, and appointed him Deputy Director of the State Police. 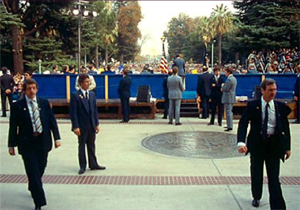 In July of 1968, The California State Police developed a plan for providing full time physical security for then, Governor Ronald Reagan. 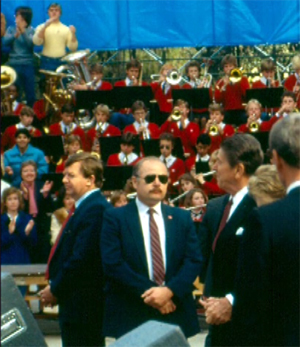 During his first two years in office, Governor Reagan's travel secretary coordinated all security by contracting with local agencies of the communities that the Governor was visiting. 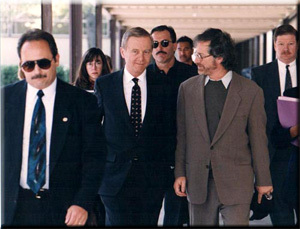 Governor Wilson, Steven Spielberg, Ofc. 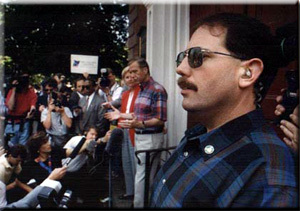 Jerry Scher, (Left), and Ofc. 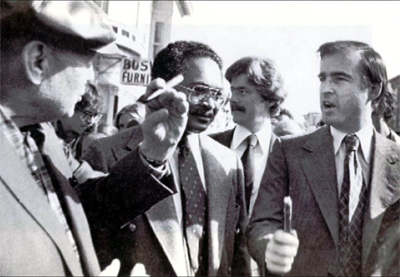 Mark Maniord, (Right Rear), Arrive At Castlemount High School In Oakland, CA. 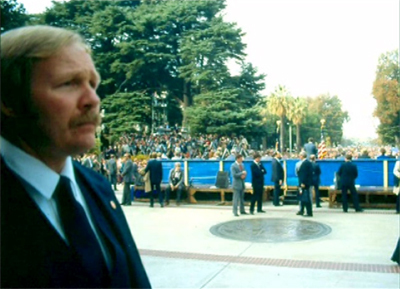 Governor Pete Wilson and The First Lady Address A Press Conference While Sgt. Steve Stone Keeps A Watchful Eye. 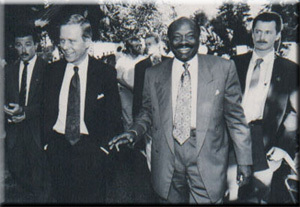 From left to right, Officer Paul McIntyre, Governor Pete Wilson, Officer Diane Straling, Assembly Speaker Willy Brown and Officer Emmett Spraktes at a Public Function in Capitol Park. 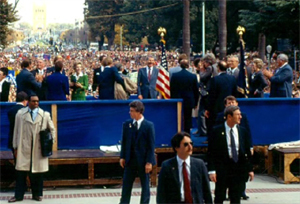 Dignatary Protection Command With The Queen Of England And Governor George Deukmejian At The West Steps, CA State Capitol. Please Use Your Browser's "Back" Icon To Return To This Page.